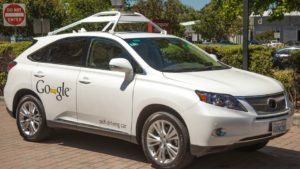 It’s in the news: California has given the green light to companies looking to test self driving cars (also known as “autonomous vehicles”) on our roads, effective immediately, without a human overseer present. That means you could see cars without steering wheels, side mirrors, foot pedals or indeed, people, very soon. Obviously there is plenty of paperwork necessary to get one of these vehicles out of a parking lot, but nevertheless, the scenario is unsettling. At Manibog Law, we see enough of the tragic consequences following a car accident to know that traffic safety is critically important on the roads, for all of us. As auto accident attorneys and a personal injury law firm, we have gathered some basic information for what this autonomous car trend may mean for you and your family. The whole point of autonomous cars is a good one. Their design was founded on the hope that without the uncertainty (and built-in fallibility) of a human driver behind the wheel, we might see fewer car accidents overall, along with an accompanying reduction in traffic fatalities and injury. After all, as any personal injury attorney can tell you, the statistics show that more than 90% of car accidents are caused by driver error alone. As you might suspect, the challenge of predicting what might happen with self driving vehicles is not so easy. It’s a little like estimating how many accidents you could have had today that you didn’t. Crash-related data from typical cars and their drivers is currently generated by millions and millions of events. After all, people drive in all kinds of weather conditions, in all kinds of terrain, in all kinds of personal circumstances. Most driverless cars have only been tested on sunny days, in warm weather climates like Arizona and California, on carefully controlled roadways under maximum scrutiny. We can say with certainty that driverless cars won’t navigate while drunk, angry or frustrated. That’s great news! However, these vehicles also exist purely in the moment. They don’t anticipate danger, or even consider the perils that might lie ahead (a rowdy group of teenagers on the sidewalk several yards ahead, a rumbling school bus you know to expect at this time of day, or the unmistakable white-haired bouffant of an elderly driver in a large, slow-moving, powder blue 1970s Buick farther up the street). As car accident attorneys and even just local Pasadena community residents, we can tell you that human drivers sometimes make the difference when it comes to making a split second decision in their car or as a pedestrian to save a life. Indeed, in some cases, people have endured serious injury or even sacrificed their lives for the greater good of others behind the wheel, or on the road. No driverless car can do that. So should you panic when you see a fully autonomous Nissan, Audi, Mercedes, Tesla on the road? Not really. Loaded with all kinds of surveillance technology, these vehicles are being carefully built to be aware of their surroundings, to make decisions, and to execute those decisions. At Manibog Law, we see the terrible consequences of traffic accidents every day. If autonomous cars lead to fewer deaths, reductions in crippling injuries, and less life-changing pain and suffering, we’re all for it.